What/Who: What is the unit of analysis relevant to your topic? When: Is there a relevant time period is collected? Think of who has a stake in collecting this data. Also consider who the audience of the data might be. 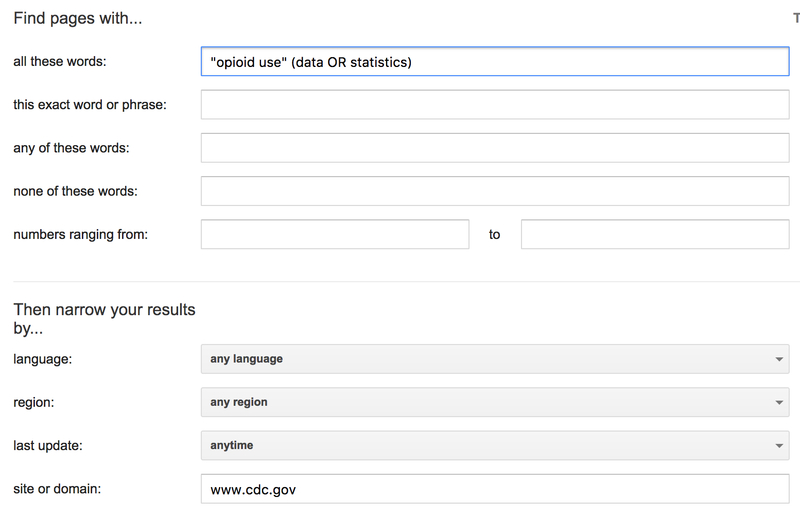 This will help you determine where the data is likely published and how accessible the data is. Again, keep in mind who collects the data and what this means for where it is located. Data that is collected by organizations and agencies that report, will often be found in compendia or directly through that organization's website. Data that is collected by individuals and researchers is sometimes available in data repositories. This guide provides several links to data sources by topic. These links are by no mean exhaustive, but can be a good place to start and can help you get a sense of who are some of the major collectors of data in your topic area. This can be a good strategy if you have a sense of who is a major source of the sort of data you are seeking. You might also want to look for any links called "reports" or "publications"--these pages typically have data-sets, but might have published data that will help you identify other source of data, like relevant surveys or studies. This guide-page is adapted from the Search Strategies Page from the Data, Datasets, and Statistical Resources by the Research/IT Desk at Carleton College's Gould Library.